Genealogist Scott E. Meyer will present “Resurrecting Grandpa’s Store” at the Sunday, Oct. 14, 2018, meeting of the Jewish Genealogical Society of Illinois at Temple Beth-El, 3610 Dundee Road, Northbrook, Ill. His presentation starts at 2 p.m. Registration, networking, and the JGSI genealogy help desk and research library will open at 12:30 p.m. Everyone is welcome to this free event. In his presentation, Meyer, a former JGSI president and current recording secretary, will recount how the discovery of a small, faded Polaroid photograph of three people led to a detailed reconstructed view of his grandfather’s grocery store. He will share what he learned about researching small Chicago businesses, and how he re-created an image that once existed only in his memory. 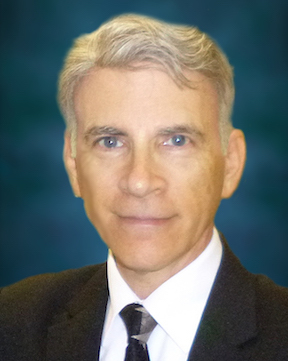 Scott E. Meyer is a former president and current recording secretary of the Jewish Genealogical Society of Illinois, and a former director of the International Association of Jewish Genealogical Societies. For 11 years he served as associate editor of Search, the internationally distributed journal published by the JGSI, and was co-editor of the North American Resources Section of the Encyclopedia of Jewish Genealogy, and consulting editor of “A Translation Guide to 19th-Century Polish-Language Civil-Registration Documents,” written by Judith R. Frazin and published by the JGSI. His thoughts on the subject of Jewish genealogy have appeared in various publications in the field. In addition to teaching and lecturing on Jewish genealogy, Meyer is certified by the Board of Jewish Education of Metropolitan Chicago, and has taught religious-school courses for more than 40 years. While this program is free, those who join the Jewish Genealogical Society of Illinois have access to several valuable members-only resources on the JGSI website. They include video recordings of more than 30 presentations from past JGSI events, valuable informational handouts from past speakers, and access to past Morasha newsletters containing informative articles about Jewish genealogy. To learn more about the benefits of joining the Jewish Genealogical Society of Illinois, go to http://jgsi.org/membership_benefits. At each regular JGSI monthly meeting, a genealogy “help desk” will operate prior to the main program. Member volunteers will access online databases and answer genealogical questions one-on-one for members and visitors as time allows. The JGSI library has more than 800 volumes of interest to Jewish family historians. Many are available for borrowing by JGSI members for a limited time. All are available for perusing at each regular monthly meeting before the main program begins.